Cities don't have to automatically adopt the bylaw, but just offering the option will put "significant pressure" on competing municipal councils to attract jobs and allow development in areas that would normally by protected by provincial legislation, say city staff. 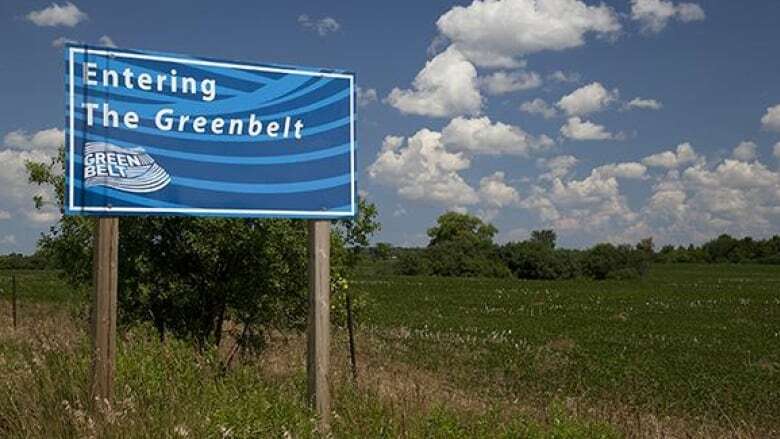 City staff are concerned "open for business" planning exemptions contained in a controversial new bill from the provincial government could incentivize development in the Greenbelt. Environment Hamilton, which has come out strongly against the proposed legislation, is hoping those worries will lead to a pledge from city council not to adopt the powers included in the bill, even if it passes. But Donna Skelly, PC MPP for Flamborough-Glanbrook, said both the city's planning committee and environmentalists have it wrong and the bill won't affect the Greenbelt. The suggested planning changes in omnibus Bill 66 offer exemptions that could permit development that doesn't conform to protective provincial legislation including the Greenbelt Act, Clean Water Act and Great Lakes Protection Act. In comments to the government posted online, city staff say those exemptions could actually encourage development in protected areas as developers look to save time and money and to take advantage of lower land costs outside of approved urban areas. The bill, meant to give municipalities an economic development tool to quickly attract major employment opportunities, has drawn the ire of environmental groups — especially when it comes to the proposal to offer cities the option of using an "open for business planning bylaw." Environment Hamilton is part of a campaign called Nix Bill 66 that describes the legislation as a "bombshell bill" and an "unprecedented and unacceptable attack" on the laws that currently guard environmental quality across the province. "There are so many problems with the way the province has set this out," said the organization's head Lynda Lukasik. "It opens up risk for development in the Greenbelt area, it potentially puts source water protection areas at risk, and it removes the requirement for municipalities to comply with what's set our in the Places to Grow Act." The mayors of both Hamilton and Burlington have also rejected the legislation if it means sacrificing the two million acres of protected green space. But Skelly, a former Hamilton city councillor, said those concerns are just an attempt to "go after the government" over a bill that will cut through "layers and layers of red tape and bureaucracy." "They're wrong. It's misinformation, it's fear mongering and it's not true," she said. "There's no additional power within this bill to tamper with the measures that are currently in place to protect the environment." But, Lukasik asks, if that was true, why would the government include the Greenbelt in the list of legislation exemptions allowed? She described Skelly's claim that environmentalists are spreading misinformation as "unfortunate" and said based on the legislation and a legal analysis completed by the Canadian Environmental Law Association it's clear the Greenbelt is at risk. "We've seen many years of effort to put in place a really solid framework for regional-level planning that's all about reducing sprawl, making more efficient use of urban areas, protecting agricultural land," she added. "The fear is that what you see in Bill 66 is going to effectively unravel a lot of the progress that's been made." Premier Doug Ford has flip-flopped on whether or not to maintain the Greenbelt in its current form. During the campaign he suggested developing part of the land could help address the GTA's affordability crisis. After that comment was met with backlash he pledged to "maintain the Greenbelt in its entirety." Jan. 20th is the deadline to submit comments on the proposed bill, but city's planning committee isn't set to consider the staff report until February. Lukasik pointed out other GTHA municipalities such as the Region of Waterloo have already decided not to support the planning changes under Bill 66 and have voted to send a message to the province making their position clear. She's hopeful Hamilton will follow suit. "We are really going to be pushing for our council to pass a resolution that, should Bill 66 be passed ... that the municipality will commit not to use those powers."